Then i spun around and dumped it on their heads. Then dropped the bucket. They both growled. Knowing what was coming next, i shrieked and ran to Mommy and Daddy. "come on Ness. We just want a hug..." Uncle Emmett pretended to cry. Mommy and Daddy held me between them. Aunt Rosalie and Aunt Alice pulled my uncles back. "fine" they grumbled. 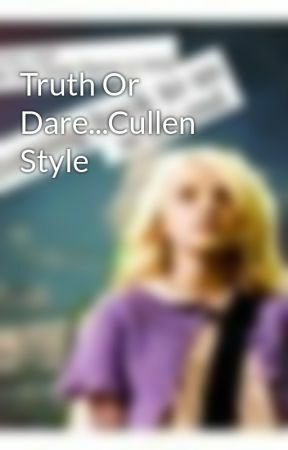 Okay Uncle Emmett Truth or Dare?" "dare my oh so wonderful and dry niece." he said. Igrinned. I had a good one for him! &apos;okay...&apos; i said, unsure of whether or not i should do this paticular dare. Daddy snorted, and whispered "do it!" "okay" i said again. " I dare you to run to Canada, run up to a policewoman, yell "POP! I haven&apos;t seen you in so long! how are you daddy?" then run away. Wearing a fairy princess costume." I said, smiling. The whole family, cracked up except Emmett. "Umm, does it have to be a police woman? since I&apos;m talking about my dad, shouldn&apos;t it be a police man?" he asked nervously. "Emmett, it has to be a woman, a police woman, and you have to do it. The consuquence is doing the same thing, but not wearing anything, except a string." Daddy said. He looked at me and winked. Uncle Emmett stared at us. "Fine!" he growled. He went up to hs rom and came back out with a fairy princess costume. A very life-like fairy princess costume. And a blonde wig. I looked at Mommy and Daddy. "Do I want to know why he has that?" I asked. "Mmm, no probably not" Mom said, laughing. "Mmm, no, definitly not." Dad replied, also laughing. (A/N Yes i know some words are spelled wrong. I don&apos;t feel like finding how to spell them right now. IDK if im going to edit either...school starts tomorrow so im depressed.) We all ran to Canada, Mom carrying me since there still a little faster than me. We saw a policewoman, and all but Emmett hid. Thankfully it wasn&apos;t sunny out. GRR! Nessie is sooo gonna pay for this! This policewaman was hot! Oops, better not let Rosalie know I thought that. I walked up to her, wrapped her in a hug and screamed "POP! I haven&apos;t seen you in soooo long! How are you daddy?!" at the top of my lungs. Then i wriggled my wings, ( It&apos;s actually a very nice costume.) I ran away. When i was safely hidden, I looked back. She was just staring in the direction I had gone, with a confused expression on her face. Then she started cracking up. As did a lot of people. I stomped back to my family,and grabbed Nessie. "Renesmee Carlie Cullen, You WILL pay for this." I growled at her. When we were back at the house, I came up for an idea for Alice and Jasper. I looked at them and asked Alice. "Truth or Dare? NO LOOKING!" She scowled. "Fine. Dare." Oh bot she was gonna regret that! Edward started cracking up. Stupid Mind reader. "We-ell this is kinda a dare for both of you put together. You have to go to the mall, pick out your own clothes! Jasper chooses whatever he wants to wear and Alice chooses hers.Second part after that. After they had gotten back from the mall, I looked through there bags. There was enough for about two months. And Jasper and Alice DEFINEITLY picked their own clothes out. "Okay, Now you both have to wear each others clothes until each has been worn at least once. No modifying, No switching every couple hours , no shopping for other ones. One outfit, per day, as is, until they run out." Alice gasped. Jasper looked fearfully at Alic&apos;es bags. Hahaha. There were plenty of cocktail dresses there. I laughed as they glanced at each other. Otherwise you both have to let me pick out your outfits for the next 3 months." I laughed evilly. They glared at me. "We will get you back for this, Emmett. 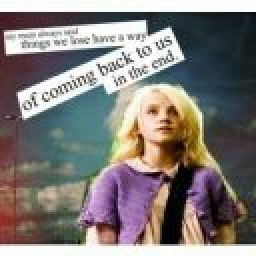 We will." They said together.